Did you know that it is possible to have two different colored eyes? Just under 200,000 people in the United States have a rare condition known as heterochromia, which can cause color variations of the hair and skin. It can also occur in animals such as dogs, cats, and horses. Individuals with two different colored eyes most likely have heterochromia iridium, which causes the irises to be different colors. There are also people who have heterochromia iridis, which is characterized by having a variety of colors present within a single iris. 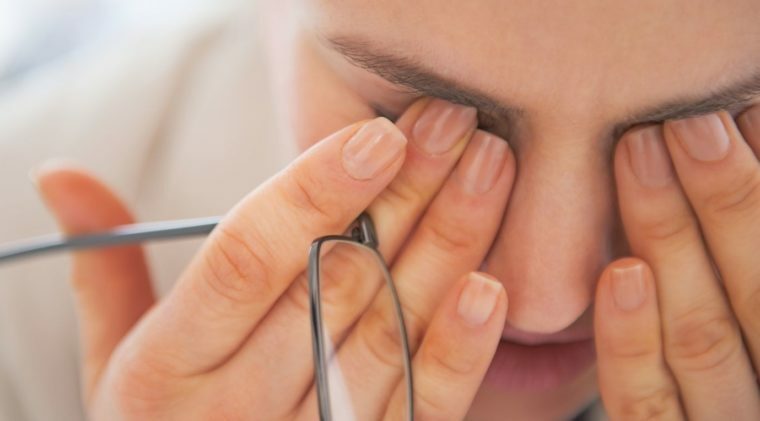 Keep reading to learn more about this interesting eye condition. Heterochromia is a condition that can cause differences in the coloration of the eyes, hair, or skin. The name of this condition is derived from the Greek words heteros, which means “different”, and chroma, which means “color”. When heterochromia affects the eyes, it can cause a person’s irises to be two different colors. It can also cause a variety of colors to be present within each iris. This difference in coloration can be caused by having an abnormal amount of pigmentation or melanin in a specific area of the body. Heterochromia iridis specifically affects the irises which are the thin, circular structures that surround the pupil and contain melanin. The amount of melanin in the irises is what determines each person’s individual eye color. Those with blue eyes have less melanin present in the iris, while those with brown eyes have more. When the amount of melanin in each of a person’s irises varies, heterochromia iridis is the result. Most cases of heterochromia are benign. Benign cases of heterochromia tend to be viewed as a “birthmark.” Heterochromia iridis can result in a person having an exotic and interesting look. 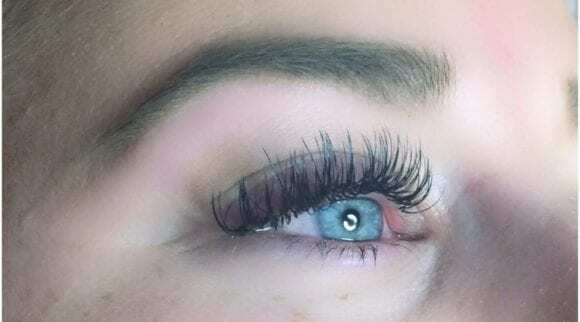 There are several celebrities who have this condition including Mila Kunis, Christopher Walken, and Robert Downey, Jr.
Heterochromia is also very common in animals. Of course, we often see furry mammals like dogs, cats, and horses with fur coats that have patches of different colors. There are also several breeds of dogs that often exhibit heterochromia iridis including the Siberian husky, the Great Dane, and the Chihuahua. There are even certain breeds of cats who are bred to purposely produce offspring with this exotic feature. 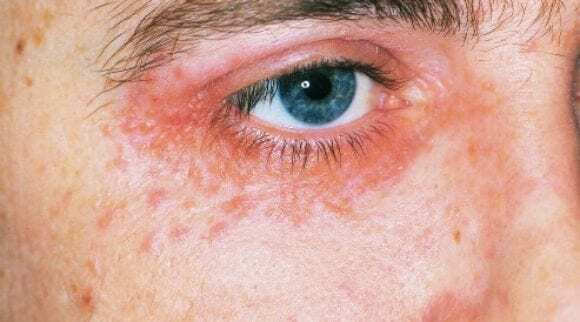 Top Related Article – What Is Anisocoria? The good news about heterochromia is that the condition is usually benign. It is important to note that heterochromia iridis is not an eye disease, but rather a unique characteristic. That being said, there is not a lot of risk to your vision if you happen to have heterochromia. Even though heterochromia is often benign and congenital, it is important to have an eye doctor conduct a comprehensive eye exam. 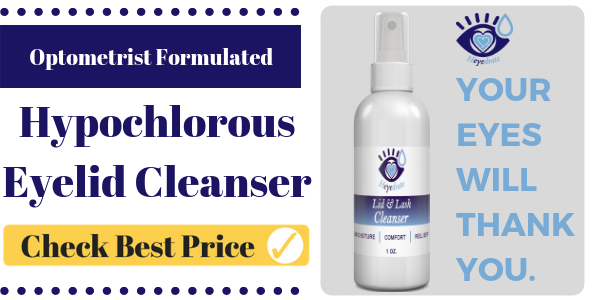 This will ensure that the difference in eye color is not caused by a more serious condition. There are quite a few conditions that can be mistaken for heterochromia, so it is very important to rule these out. 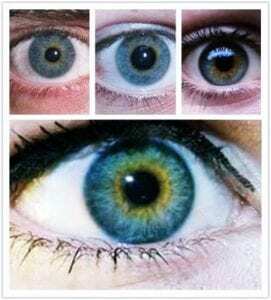 Most individuals who have heterochromia notice no symptoms aside from the unique appearance of the eyes, as long as no other conditions are present. If you suddenly develop heterochromia later in life with no distinct cause, then you will definitely want to visit an eye care specialist. Acquired heterochromia that does not develop due to an injury, surgery, or documented illness can sometimes be a signal that a tumor has developed near the eye. Although this occurrence is rare, it is best to rule out this cause early on. 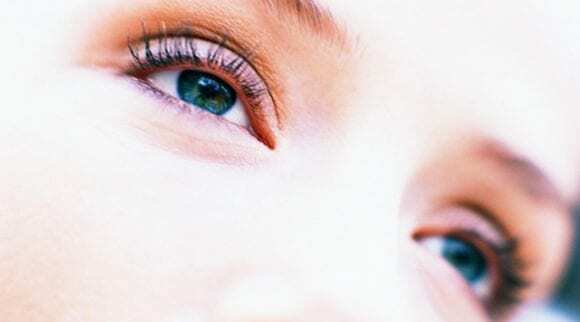 Top Related Article – Can Your Eyes Change Color? A majority of the people who currently have heterochromia of the eyes inherited it from an ancestor. This is usually the case for those who were born with congenital heterochromia. Heterochromia is passed down through generations by an autosomal dominant gene. If you have congenital heterochromia, then there is a good chance that your children will have it as well. Congenital heterochromia can also be caused by genetic eye disorders like Waardenburg syndrome. 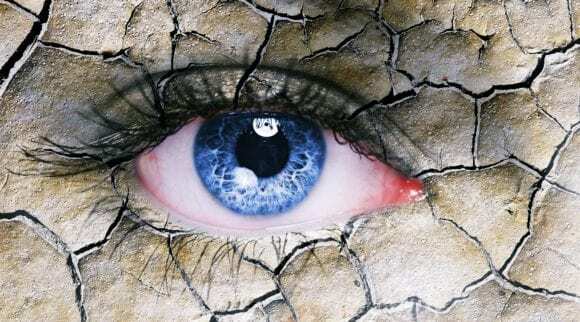 This condition can interrupt the even distribution of the pigment that is present within the irises. It is also important to note that eye color is not fixed at birth. Many individuals have the experience of having had a lighter eye color at birth that darkened before the age of 2. Many babies of all backgrounds are initially born with blue eyes. If you notice your child’s eye color darkening as they age, there is no need for alarm, and it likely not caused by heterochromia or other eye conditions. Acquired heterochromia develops later in life, usually due to an injury, an eye condition, or as a side-effect of medication or eye surgery. 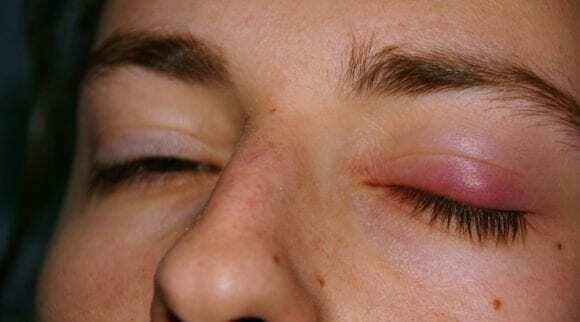 Certain injuries, particularly those that cause bleeding to occur within the eyeball, can lead to an accumulation of iron which can cause the eyes to take on a rusty color. This color change is more specifically referred to as siderosis. The distribution of melanin, the brown pigment that is a major factor in the manifestation of each individual’s unique eye color, can be disrupted as a result of certain medications. A common example of such medications is the eye drop Levobunolol, which is used to treat glaucoma. 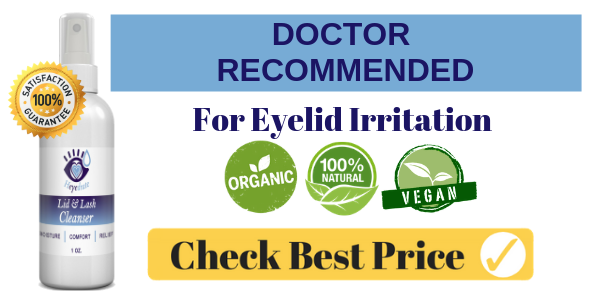 This medication can lead to the depigmentation of the iris. It has also been found that Xalatan, an eye drop used to alleviate the high eye pressure that is caused by glaucoma, can gradually darken the color of the eyes over time. Although heterochromia iridis is usually benign, many people are interested in the causes of this unique condition. The basic cause of heterochromia is an abnormal level of melanin in one or both eyes. Melanin is a chemical pigment that gives color to the skin, hair, and other areas of the body. Melanin is the reason for the diverse skin tones, hair colors, and eye colors that are present in human beings. Individuals with lighter hair, skin, and eye colors have less melanin present. On the other hand, those with darker hair, skin, and eyes have more melanin. The amount of melanin a person has can be determined by genetics and certain medical conditions. Scientists are still uncovering the exact ways in which humans inherit eye color. Essentially, heterochromia iridis is caused by variations of the amount of melanin in the irises. Although this basic cause is understood, the exact cause of the varying amounts of melanin is unknown. Many people are born with benign heterochromia, while others begin to notice it during early childhood. If the condition is noticed at birth or during early childhood, then it is called congenital heterochromia. In most cases, the cause of congenital heterochromia is genetic. Genetic mutations can occur in the womb, leading to this unique characteristic. Although melanin is what causes eyes to be lighter or darker in color, researchers are still unsure of the exact cause of green or hazel eye colors. Genetic scientists once believed that eye color was caused by the common dominant-recessive inheritance pattern, but eye color is actually a polygenic trait. This means that eye color is affected by multiple genes. We each possess a set of around 20,000 genes and we receive a copy of genes from each of our parents. The two genes that affect eye color are known as OCA2 (ocularcutaneous albinism type 2) and HERC2. An improperly functioning OCA2 gene that is unable to produce pigment is a major cause of albinism in humans. Roughly 75% of eye color is the direct result of the variation of the OCA2 gene. Another interesting cause of heterochromia is genetic mosaicism or chimerism. This is a genetic alteration that occurs when an individual possesses multiple genetically-distinct cell populations. What this means is that a person with genetic mosaicism has acquired cells from a single zygote. In other words, a person with this condition has two distinct genetic versions of themselves. This can lead to the individual having eyes of differing colors, especially if the genetic difference occurs within genes that affect the individual’s eye color. There are three types of heterochromia iridis. The type of heterochromia iridis that a person has is determined by where the color variations exist on the eyes. It is possible for an individual to have more than one type of heterochromia present in the eyes. For example, an individual can two different colored eyes, which is caused by complete heterochromia. The same person can also have different colors within one or both of those eyes which would point to either partial heterochromia or central heterochromia. This form of heterochromia iridis is the most recognizable. Those with complete heterochromia have a completely different colored iris in each eye. People with complete heterochromia may have one brown eye and one blue or green eye. This is the least common form of heterochromia in humans. It is very common amongst animal species such as the Siberian Husky. This form of heterochromia iridis, also known as sectoral heterochromia, causes only one section of the eye to have a different color. Partial heterochromia can be present in one or both eyes. In most cases, this form of heterochromia appears as an irregular “spot” on the iris. It does not cause a ring to appear around the pupil. An example of a celebrity with partial heterochromia is Elizabeth Berkley. Her main eye color is blue, but the lower section of her right iris is brown in color. This form of heterochromia is characterized by irises that have a different color near or around the border of the pupil. Many people refer to eyes that exhibit central heterochromia as “cat eyes.” This form of heterochromia is most commonly caused by lower amounts of melanin rather than an abundance of melanin. This form of heterochromia usually manifests as a ring around the pupil that bears a different color than the rest of the iris. People with heterochromia notice that the central color of the iris can be more vibrant, especially towards the center of the eye. Central heterochromia is often present at birth. The occurrence of this condition is usually random, and it can be present in those who have no genetic history of heterochromia. Central heterochromia is often mistaken for the hazel eye color, but there is a key difference. Hazel eyes can manifest in a variety of forms, but in most cases, individuals with hazel eyes have irises that continuously shift from brown to green. This shift occurs as you move away from the pupil. While the colors present with hazel eyes shifts gradually, irises with heterochromia have a distinct boundary between the colors. Heterochromia iridis is usually a benign condition that does not affect the vision, therefore treatment and diagnosis are not required. 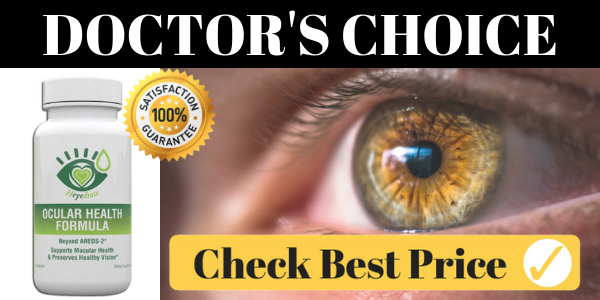 However, due to the fact that heterochromia can be mistaken for a symptom of other, more serious conditions, it is a good idea to visit an eye doctor for a comprehensive exam in order to rule out other conditions or causes for the variation in eye color. If you have an infant or small child that has heterochromia, you should take your child to an optometrist or ophthalmologist for an exam. This specialist will be able to confirm whether or not your child has heterochromia iridis while also checking for other causes of any present color variations. 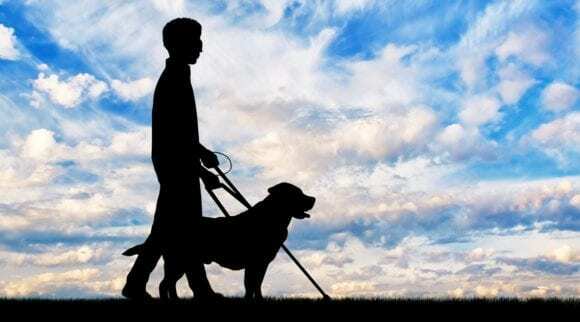 It is very important to check for other conditions that may affect the vision for early treatment. Visiting an eye doctor to check for other underlying issues can be very important for those who develop this condition as adults, as well. It is more common for acquired heterochromia to be caused by the onset of another condition or as the result of an injury. A change in eye color later in life can be caused by a more serious underlying condition. When an eye doctor treats a patient with heterochromia iridis, they are usually treating an underlying cause of the condition rather than the condition itself. Those with heterochromia that is not caused by another condition do not require treatment. When you visit an eye doctor for heterochromia iridis, your doctor will complete a full exam to check for any abnormalities. This exam may include tests to examine eye pressure, your peripheral vision, the optic nerve, and the overall condition of the pupils. 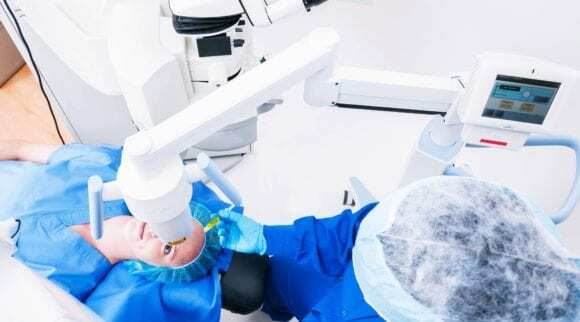 Your eye care specialist may also opt to perform an optical coherence tomography (OCT), which is an imaging test designed to check for abnormalities in the retina. If your eye care specialist does find that your individual case of heterochromia is the symptom of a more serious underlying condition, he or she will recommend additional treatment depending upon the condition. Fortunately, this isn’t the case for most who have their heterochromia iridis examined by an eye care specialist. As we mentioned above, heterochromia is usually benign and does not cause any negative symptoms. Most individuals who have heterochromia enjoy this unique and exotic feature. However, if for some reason you do not, you can adjust your eye color with tinted contact lenses. Tinted contact lenses can allow those who have heterochromia iridis to have eyes that are uniform in color. Those who have heterochromia due to an injury or underlying eye disease are treated for those ailments rather than heterochromia. When an individual is treated for an injury or underlying eye condition that has caused heterochromia, their eye color will remain the same. Heterochromia that is not caused by another more serious condition does not have any effect on a person’s lifespan. Heterochromia is a benign eye condition that causes variations in the color of a person’s eyes. There are a few conditions that can be mistaken for heterochromia iridis. An example of such is anisocoria. This is a condition that causes an individual to have pupils of different sizes. 20 percent of the population has anisocoria. 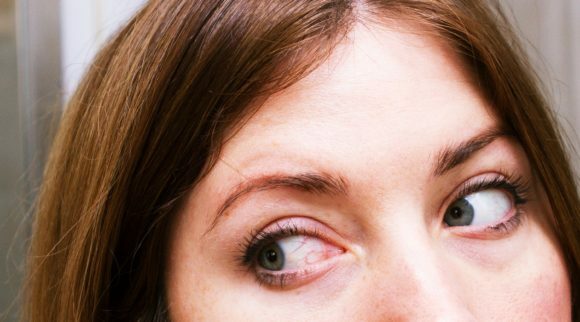 More often than not, anisocoria is completely benign, and it is present from birth. Most people who have anisocoria have a difference in pupil size that is less than a millimeter, so the difference is not noticeable. In rarer cases, the difference in pupil size is much larger. This usually occurs when the case of anisocoria is caused by a nerve palsy or severe eye injury. What causes this condition to be mistaken for anisocoria is the fact that when one pupil is very dilated and the other one is smaller in size, it can seem as though one eye is darker than the other. An example of a celebrity with anisocoria is David Bowie. Many people believe that he had heterochromia iridis, but he actually had anisocoria. When David Bowie was an infant his eyes were blue, but the difference in color is actually due to an injury that he endured while in high school. After a fight, his left eye remained permanently dilated due to a severe punch. Another condition that often gets mistaken for heterochromia is an iris nevus. This is a benign growth that is pigmented. In most cases, this pigmented growth is round and colored brown. Most patients with this condition have only one, but it is possible for more to exist. Some eyecare experts argue that an iris nevus on a hazel, blue, green, or other lightly colored eye is a form of partial heterochromia. However, the name “heterochromia iridis” is usually not used to describe this particular color variation. These growths usually maintain the same size; however, your doctor will want to keep an eye on them. It is usually suggested that individuals with iris nevi see a doctor every six months. It is important to have any iris nevi monitored for additional growth and possible malignancy. It is also believed that Alexander the Great, an ancient ruler of the Greek kingdom of Macedon, had heterochromia as well. Many of the canine breeds that commonly exhibit heterochromia of the irises also show signs of heterochromia through their fur. For example, Dalmatians and Siberian Huskies are known for having multi-colored fur. Many of the dogs that are prone to heterochromia iridis have white fur patterns near and around the head. Heterochromia is also very common in cats. An interesting fact about eye color in cats is that they cannot have dark eyes like a dog or a human. This makes for very interesting color combinations in cats with heterochromia. Eye colors for cats can manifest in a variety of hues including blue, green, orange, and yellow. This condition is very common among breeds such as the Turkish Angora and the Turkish Van cat. Horses with heterochromia tend to have one brown eye and one eye that is white, gray, or blue in color. This condition is most common among equestrian breeds such as the pinto suit horse. Other animal species that commonly exhibit heterochromia are cows and Asian buffalo. As is the case with heterochromia in humans, most animals with heterochromia do not exhibit vision or additional health problems due to this condition. If you have a pet with heterochromia, they will only need treatment if the difference in eye color is caused by an underlying eye condition or an injury. Heterochromia is a rare eye condition that occurs in roughly 11 out of every 1,000 Americans, and it is an interesting example of the many diverse ways in which our genes can manifest. As an eye condition, heterochromia can be present at birth, or it can develop later in life due to an injury, certain medications, or an underlying eye condition. If you or someone that you know has heterochromia, luckily, there is not much cause for worry. In most cases, heterochromia is simply a fascinating trait that can give an individual a uniquely striking appearance. After consulting with an eye care specialist to rule out any other underlying causes for the difference in eye color, there is no need to be worried about heterochromia. If you do not enjoy the unique appearance of having two different colored eyes, then you can consider wearing tinted contact lenses to even out the color.